Walk into any bookstore these days, and you're likely to find a display piled high with young female-empowerment titles like Rad American Women A–Z, Good Night Stories for Rebel Girls or She Persisted: 13 American Women Who Changed the World. The latter, by Chelsea Clinton, is the source material for a new musical currently making its premiere at Bay Area Children's Theatre in Berkeley. She Persisted, the Musical follows Naomi (Loreigna Sinclair), a down-on-herself fourth-grader who's late for school, bad at P.E., and kicking herself for bombing an assignment about tortoises. Her classmates dream of being professional athletes or Instagram influencers, while her goal is to become an astronaut. Her biggest obstacle? She's terrified of failure. Enter Time (Cassie Grilley), an energetic time-traveling sprite who whisks Naomi through various eras of history to learn how other women overcame their challenges. First up is the 1960s Bronx, where a young Sonia Sotomayor sings about wanting to be a detective over a lively Latin-jazz rhythm—but, upon being diagnosed with diabetes and advised to take a different career path, decides to take inspiration from Perry Mason and study law instead. "Justice is cool / I can learn every rule," she sings. So begins a series of similar vignettes as Naomi travels through time and meets Virginia Apgar (LeighAnn Cannon), Harriet Tubman (Gabriella Momah), Florence Griffith Joyner (Momah), Sally Ride (Cannon), and Ruby Bridges (Angel Adedokun). This is children's theater, so the songs, sung in a fun variety of musical styles, are designed to be uplifting and easy to understand. As expected, the stories of each woman are condensed for time; the musical runs about an hour, with no intermission. Where She Persisted succeeds most is in looking beyond the women's banner achievements to specifically highlight the qualities of character that led them to those accomplishments. For Sotomayor, it's versatility; for Tubman it's hope; for Apgar it's curiosity, and so on. 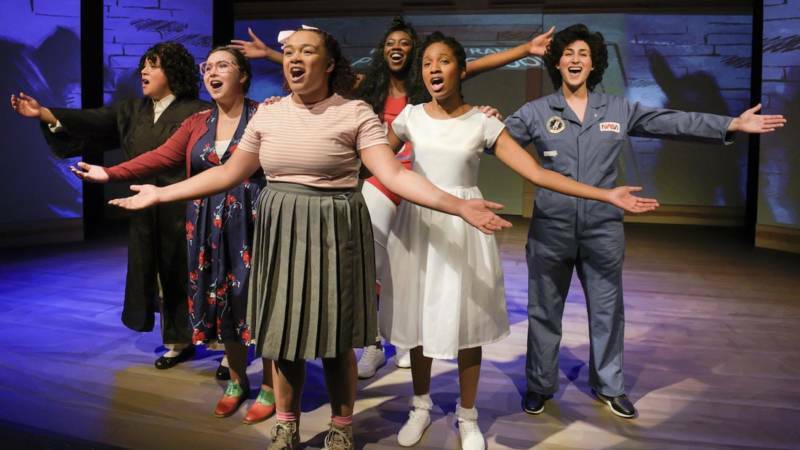 Under the direction of Khalia Davis, this is what shines brighter than the songs, the stories, and even the slapstick rap about Oprah Winfrey: the message that cultivation of these internal qualities, not mere emulation of historical figures, can help every young girl in the audience reach their dreams. 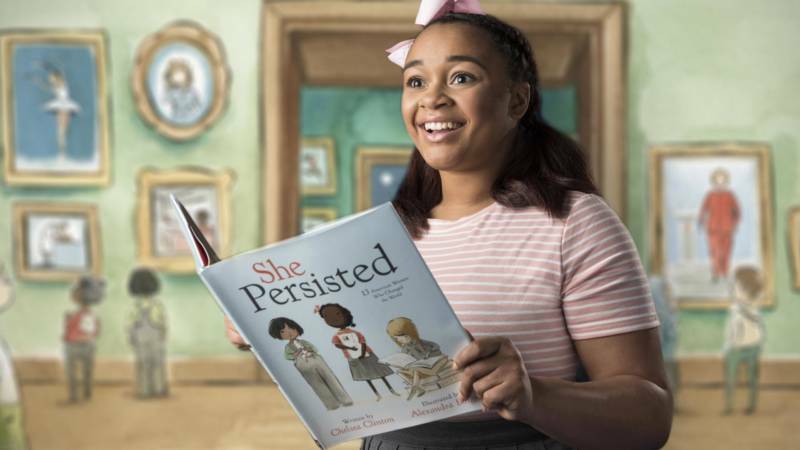 'She Persisted, the Musical' runs through April 14 at various locations: Bay Area Children's Theatre in Berkeley (through March 3), Creativity Theater in San Francisco (March 9–31), and Sunnyvale Theater in Sunnyvale (April 6–14). Details here.